The 2017 Toyota 4Runner stands tall. It’s an SUV and proud of it. It has a solid rear axle and body-on-frame construction. Order four-wheel drive, and you get a two-speed transfer case with a low range in the SR5 and Trail models. The Limited gets a full-time all-wheel-drive system with no low range. This is how SUVs used to be built, before the term “crossover” entered the automotive lexicon. 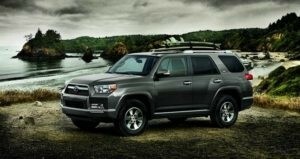 But the Toyota 4Runner remains true to its roots and is now one of the last of its species. While this is an SUV that will make your off-road fantasies a reality, the Toyota 4Runner promises to be quiet and reliable, enduring years of use without complaint. This Toyota SUV continues to sell well to buyers who crave off-road chops, a 5000-pound towing capacity, and chunky styling. For the off-roaders, the Trail and Trail Limited models offer Toyota’s Kinetic Dynamic Suspension System (KDSS), which electronically disconnects the anti-roll bars to ease wheel articulation. New for 2017 are the TRD Off-Road and TRD Off-Road Premium grades. For the avid off-road enthusiast, the TRD Pro model returns for the new model year. The TRD Off-Road models offer unique interior and exterior badging, carbon fiber-look trim, and TRD red letter embroidery on the front headrests for the TRD Off-Road Premium model. Our skilled sales staff at our Toyota dealership near LaGrange are experts at finding the Toyota car that’s right for you. 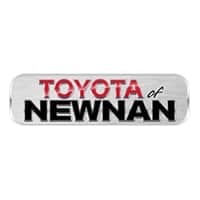 Come visit us at our 2 Herring Road location in Newnan, GA – 35 miles southwest of Atlanta – where we can set you up for a test drive of our new Toyota models and answer any questions you might have. Come meet the 2017 Toyota 4Runner.